Hello everyone! Hope you are all having a great weekend so far. 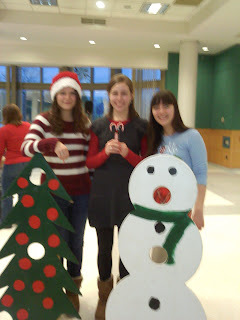 In between working on homework, I have spent most of this weekend doing what I like to call Christmasy activities. Yesterday afternoon, some of my friends and I went into downtown Burlington to get some Christmas shopping done. It was a very successful trip! Today, a few of my friends and fellow members of Founders Society (the group on campus in charge of tours, blogging, alumni relations, etc.) hosted the annual faculty/alumni Christmas party. 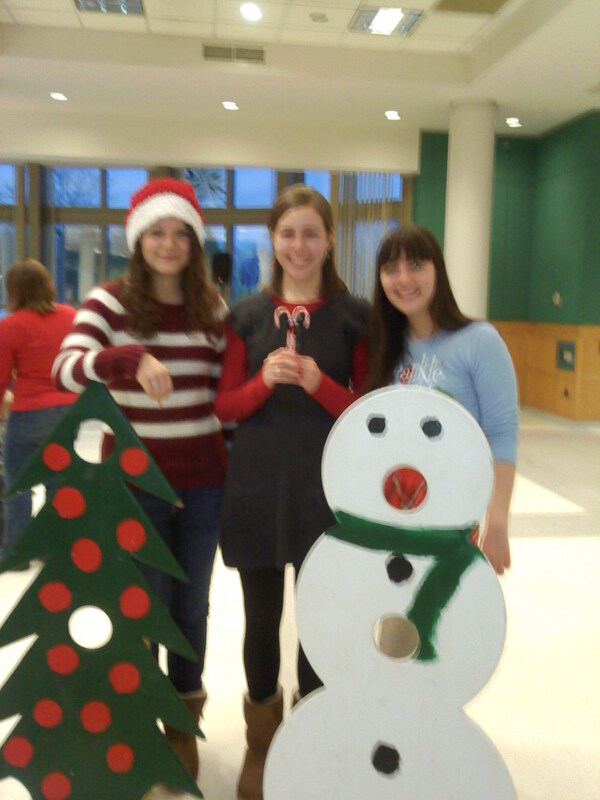 My friends Cara and Lauren worked at a craft table where we helped the children make candy cane reindeer! 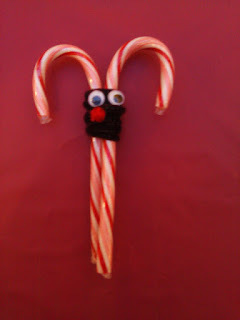 I'm not usually good with crafts, but thankfully this one was pretty easy to make, and super adorable! :) Elf is definitely one of my favorite Christmas movies, so I'm so happy I was able to watch it tonight. What a great way to kick off the month of December! Have a great rest of weekend, and Happy December to everyone! As always, thanks for reading my blog!